In 2015 McDonald's opened 59 new restaurants in Russia. Despite challenges company continues to grow. "We intend to fully localize production in Russia,” Khamzat Khasbulatov, president of McDonald's in Russia, told reporters. “It is not because of the sanctions, it was already a long-standing plan." Khasbulatov predicts that in two years the company will fully replace imported chicken meat and cattle with Russian analogues and will grow its potatoes in Russia by 2017. "Russia remains one of the most interesting areas for the investment of resources and the opening of new restaurants," concluded Khasbulatov. In September 2015 Alexei Semenov, the managing director of McDonald's in Russia, reported that 85 percent of products for the restaurant chain in Russia are produced by local companies. 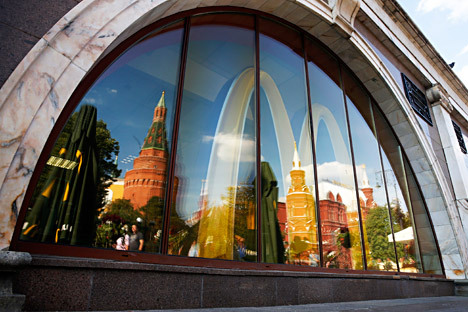 In 2015 McDonald's opened 59 new restaurants in Russia, and was able to increase turnover despite the weakening of the ruble and economic sanctions, Khasbulatov said. In 2014, McDonald's opened 73 new restaurants in Russia, so the pace of network expansion for fast food has decreased. However, according to Khasbulatov the company's turnover in 2015 increased. “We ended the year better than planned,” he said on Monday. “But the sanctions have affected the margins of business." According to Khasbulatov, McDonald's raised prices in their restaurants due to the fall of the ruble in 2015, but the increase was below the level of inflation. In 2016 McDonald's plans to open 60 of its own outlets, while also continuing to grow using the franchise system.